Grubhub (NYSE :GRUB), an online and mobile food-ordering and delivery marketplace, closed its previously announced acquisition of LevelUp, a provider of mobile diner engagement and payment solutions for national and regional restaurant brands. Under terms of the agreement, the company paid $390m in cash. 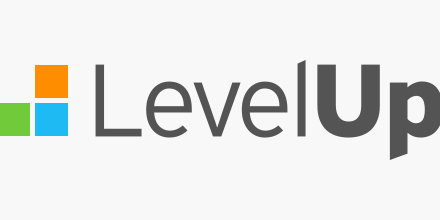 With LevelUp, Grubhub provides restaurants with a comprehensive solution for driving online delivery and pickup orders, powering the full ordering experience from demand generation to fulfillment, accelerates its existing point-of-sale integration capabilities and provides restaurant partners with CRM and analytical tools to drive increased sales. The acquiring company expects the transaction to contribute revenue of approximately $2 million to third quarter results and negatively impact EBITDA by less than $1 million. Grubhub is an online and mobile takeout food-ordering marketplace with a comprehensive network of restaurant partners, as well as a large diner base. The company is working with more than 85,000 restaurant partners in over 1,600 U.S. cities and London. The portfolio of brands includes Grubhub, Seamless, LevelUp, Eat24, AllMenus and MenuPages. Grubhub also announced it has entered into an agreement to acquire certain assets of 11 franchisee-owned OrderUp food delivery markets across California, Colorado, Indiana, Missouri, Oregon, Oklahoma, and Virginia. The company previously acquired certain assets of 27 other OrderUp markets in 2017. The acquisition is expected to be completed in the fourth quarter of 2018, subject to standard closing conditions.